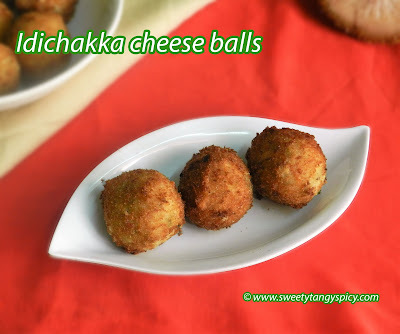 Tender Jackfruit cheese balls - It is an easy to prepare tasty kid-friendly snack with tender jackfruit, potatoes and of course cheese. Yes, smile my dear cheese lovers, It is full of cheese, you can either mix while making dough or can fill in the center. Here I am following the first method. While making Cheese balls two to three things should keep in mind. First of all, the mix should be tight,just like cutlets and kebabs. 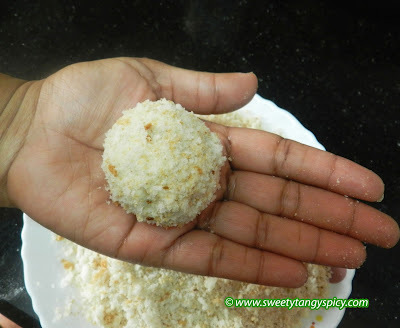 Here we are using cornflour as binding agents and also to retain the whitish color of cheese balls. If you have no problem with color, you can use bread crumbs. Also make a thick coat of batter as there is a high chance for the cheese to ooze out. So we will have a thick wet batter before coating with bread crumbs. Anyway, tender jackfruit will be available now and we will try cheese balls with it. 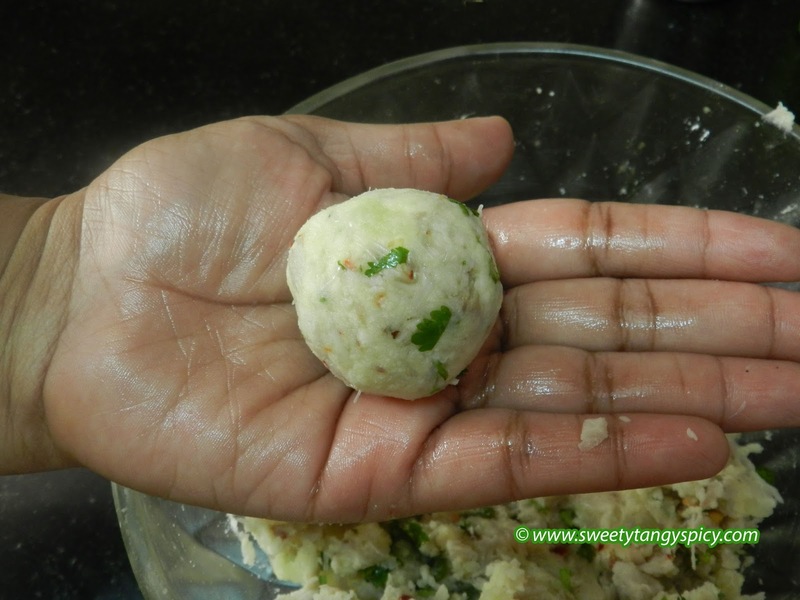 Also make it little bit spicy if you like or we can have this with spicy ketchup or mint chutney. 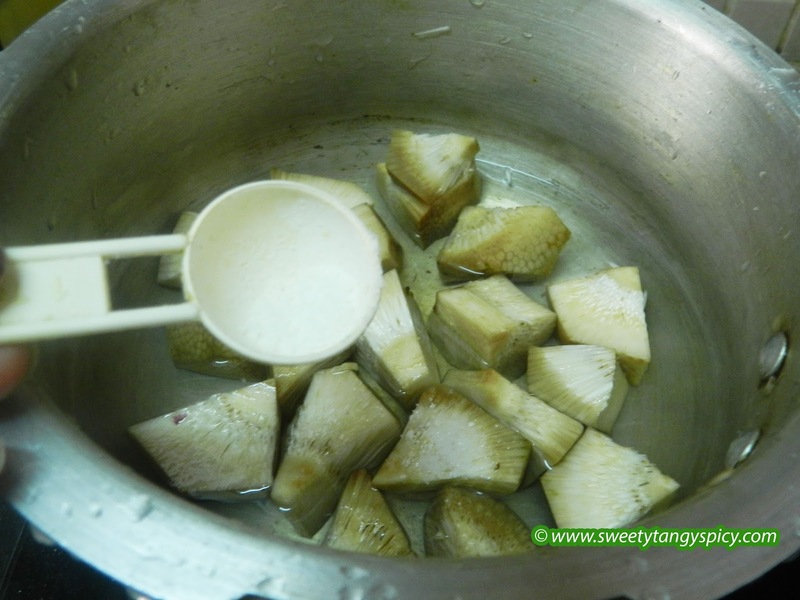 Pressure cook de-skinned and chopped jackfruit with enough salt and 1 cup of water for 1 or 2 whistles on high flame till they turn soft. Process in a food processor and keep aside. Take grated cheese, shredded jackfruit, mashed potatoes, chopped green chilies, oregano in a bowl. Add 2 tablespoons of cornflour and combine everything well with your hand. 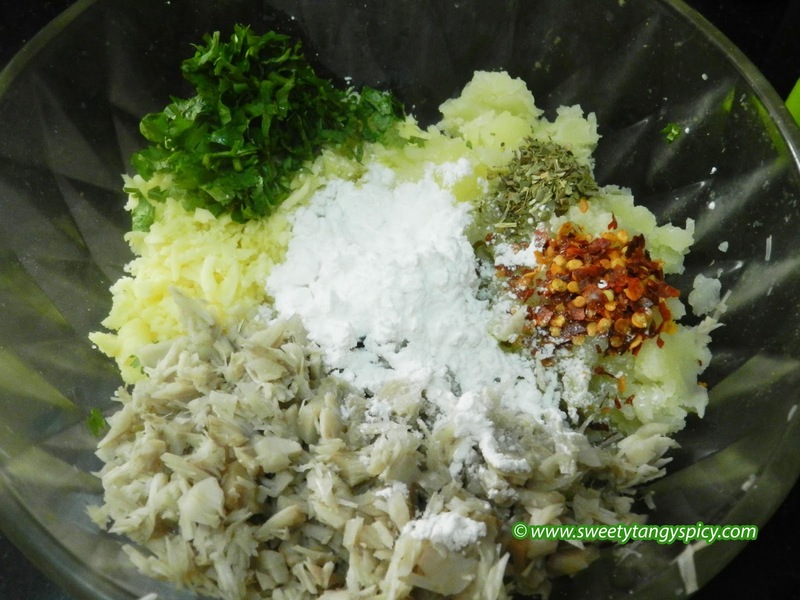 Mix 2 tablespoons of maida or all purpose flour with 4 tablespoons of water and make a thick paste. Mix 2 tablespoons cornflour with 1 tablespoon maida. Roll cheese balls in the cornflour maida mix. 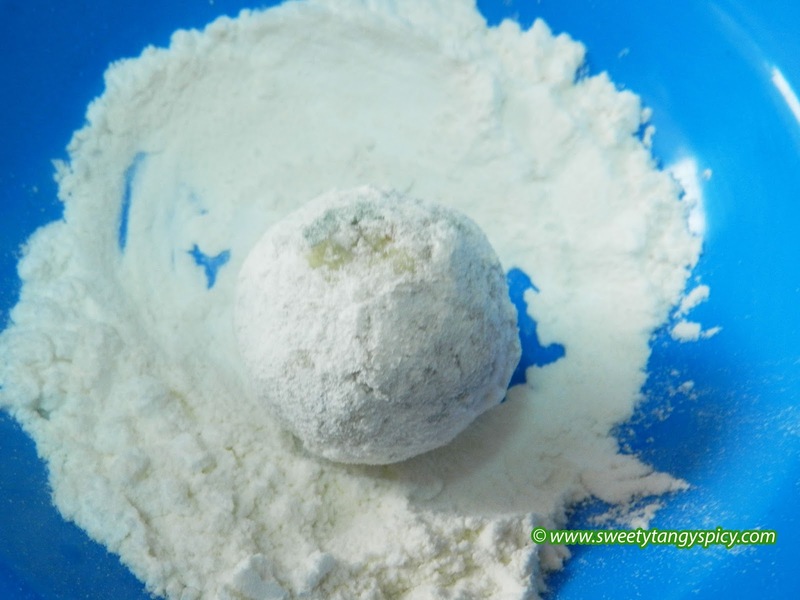 Dip in all purpose flour (maida)batter and make a thick coat. Finally, roll in bread crumbs. Deep fry them in hot oil till golden brown in color. 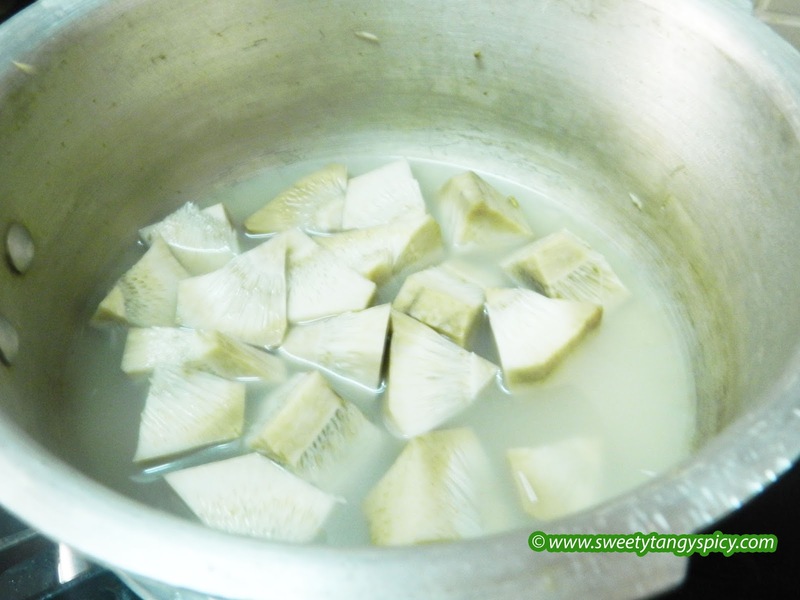 Take de-skinned and chopped jackfruit pieces in a pressure cooker. Add 1 cup of water and enough salt. The cheese is also salty, so add a small amount of salt. Pressure cook it till soft. 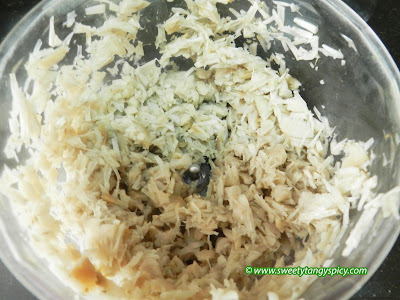 Shred them either by pounding using the mortar and pestle or pulse in a food processor or mixer grinder. I have given a detailed note on cleaning and pounding in my previous post, idichakka thoran. If you have any doubts, click here. 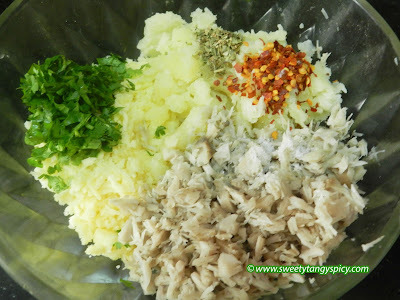 Take all the prepared ingredients like 80 grams grated cheese, 100 grams shredded jackfruit, 1 large potato, boiled and mashed, one or two finely chopped green chilies or 1/2 to 1 teaspoon red chili flakes and 1/2 teaspoon oregano in a bowl. The amount of chilly is adjustable. Note: Do a taste test at this stage and check whether the spices and salt are correct. Add 2 tablespoons of cornflour. Note : The potatoes and corn flour serve as binding agents. If you feel the mixture is still wet, add some more cornflour. Combine everything with your hand. Apply oil on your palm and make small balls out of it. 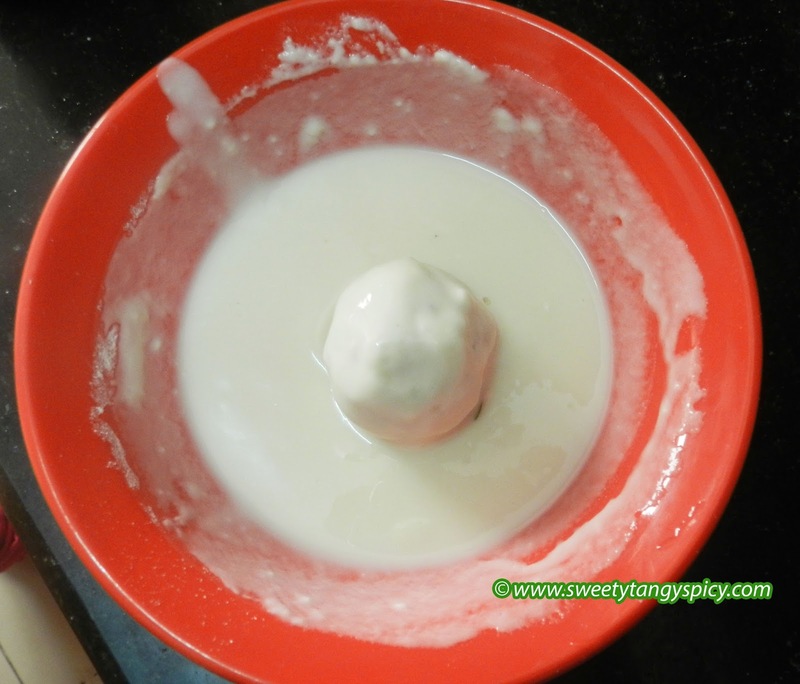 Mix 2 tablespoons cornflour with 1 tablespoon maida and roll the balls in it. 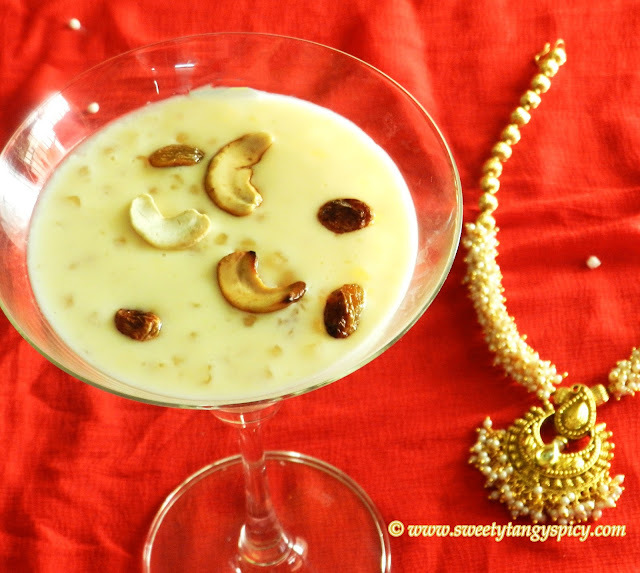 Make a thick paste two tablespoons of maida with 4 tablespoons of water. The batter should be thick enough to make a white coat over the balls. 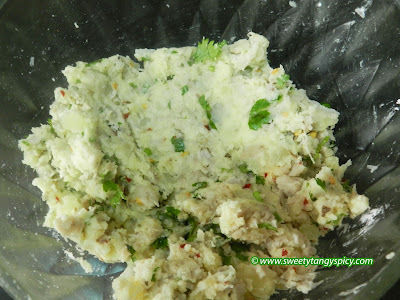 Dip in all purpose flour (maida) batter. Note: These two steps will give additional covering to the balls as there is a high chance of it to break and the cheese to ooze out. Finally roll in bread crumbs. 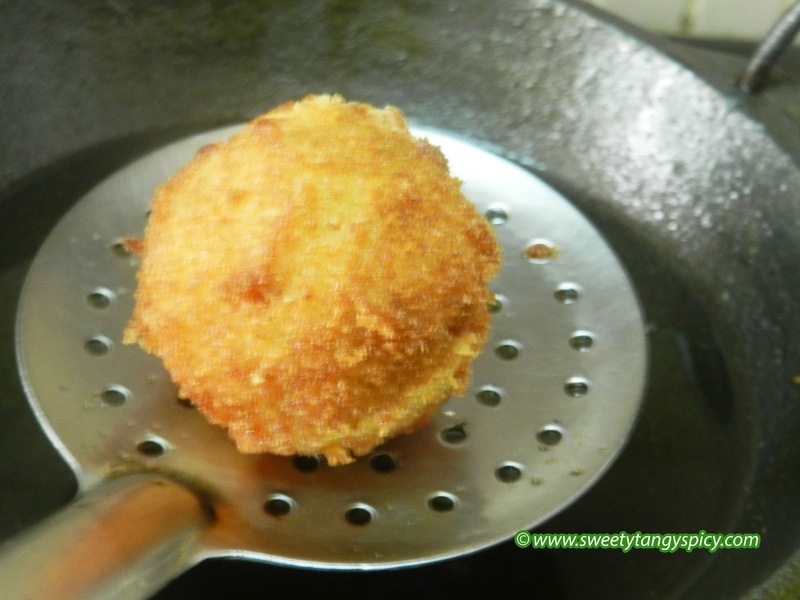 Heat enough oil in a kadai and dip each balls carefully. Deep fry them in hot oil till golden brown. 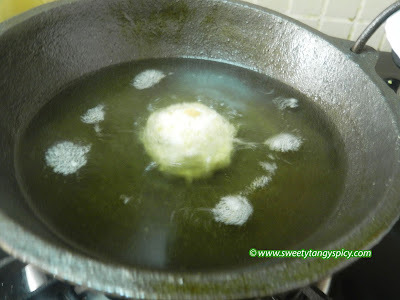 Transfer the fried balls in a tissue paper to remove extra oil. You can either mix or fill cheese in this mix. 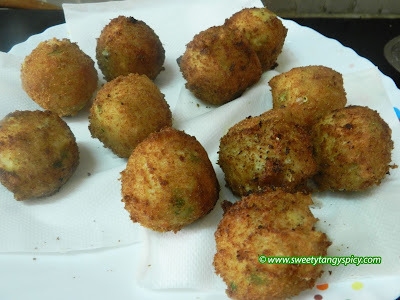 Make a thick coat of cornflour maida batter on the balls before roll in bread crumbs.. This will make them intact.